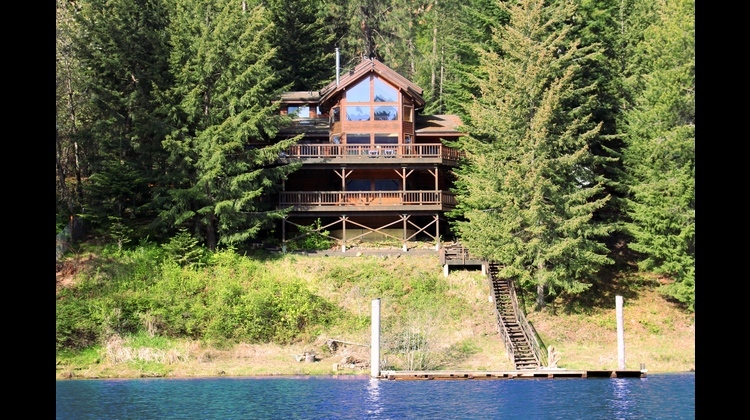 Enjoy spectacular mountain and lake views from the wrap around decks on the main and lower floors of this custom built cedar home. 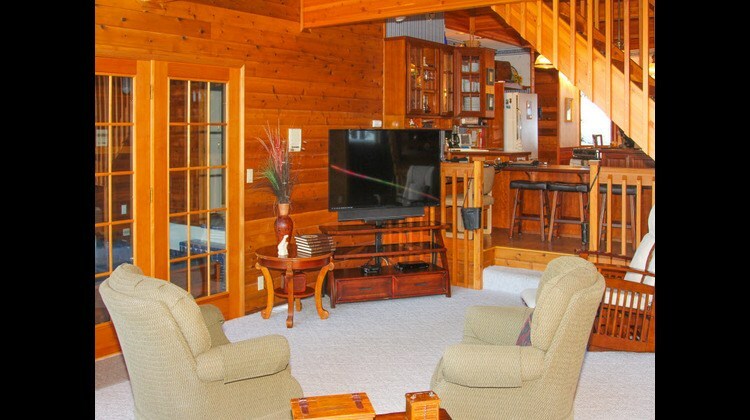 Fishing, water skiing, swimming and water sports just steps to the private dock. Located on calm and protected Powderhorn bay, it has the best water skiing and Kokanee/trout/salmon fishing on the lake. 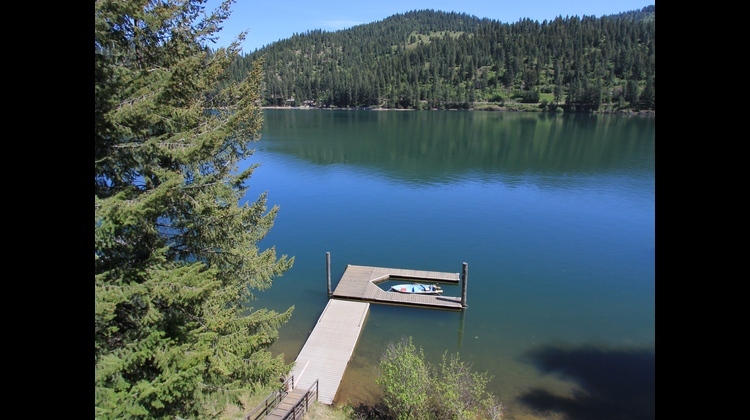 This area of the lake also has some of the best bicycle trails in North Idaho. Located on Coeur d'Alene Lake, 'one of the six most beautiful lakes in the world' according to National Geographic Magazine. You'll find all kinds of wildlife in the area, including elk, deer, beaver, otters, wild turkey and moose. Often, the deer prance through the driveway. Right from your deck, you will see an abundance of birds such as Red-winged Blackbirds, Osprey, Great Blue Herons, Hawks and Bald Eagles! 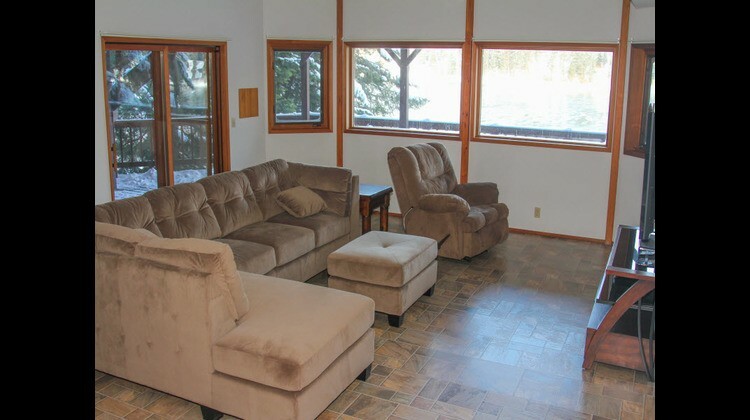 This property is perfect for large families or multiple families. 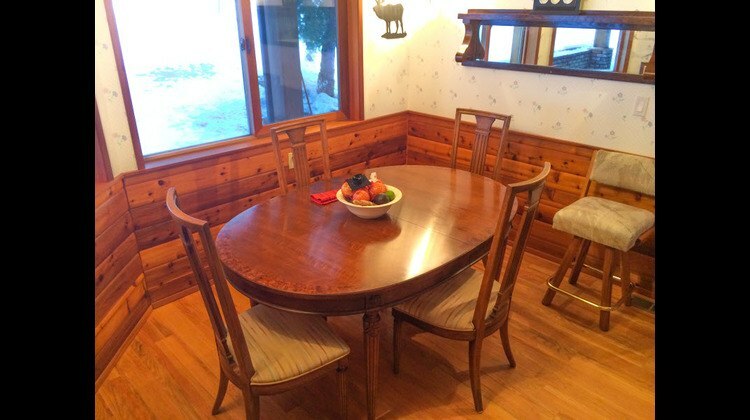 It has a large kitchen with island, a breakfast nook and a dining room that can seat 10. 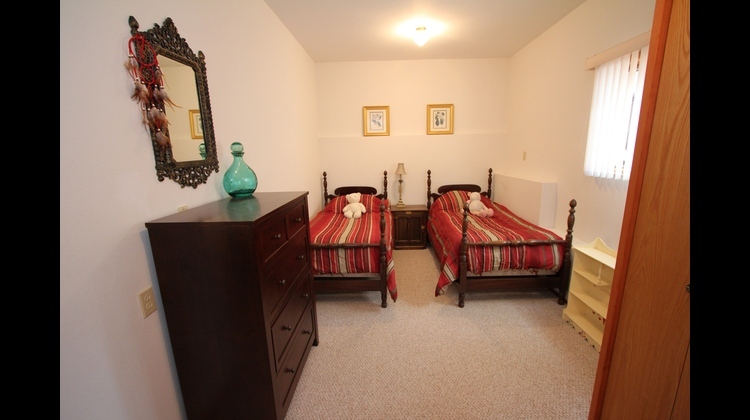 It also has 3 living rooms with large Dish TV as well as free wireless Internet. 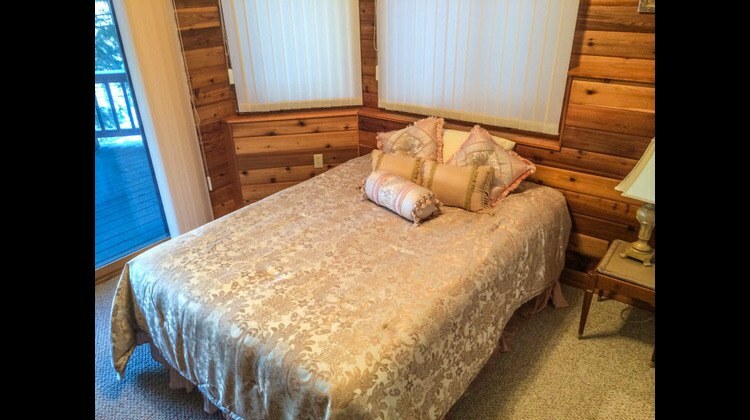 There is a master bedroom with king bed and loft living room on the 3rd floor. 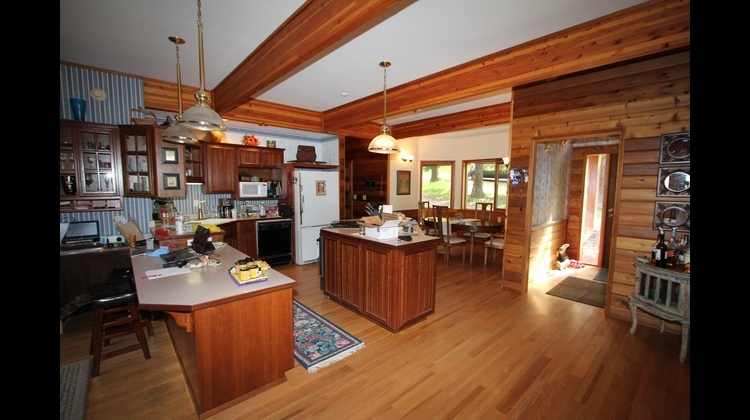 The kitchen, living room, 5-person hot tub and queen log bed room are on the main floor. 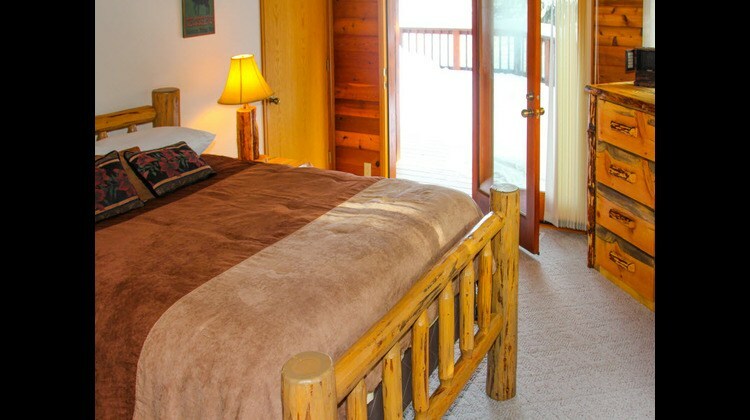 There is a rec room and 4 more bedrooms in the lower floor, 2 with queen beds (one log bedroom set), one with two twin beds and another room with a full/twin bunkbed. 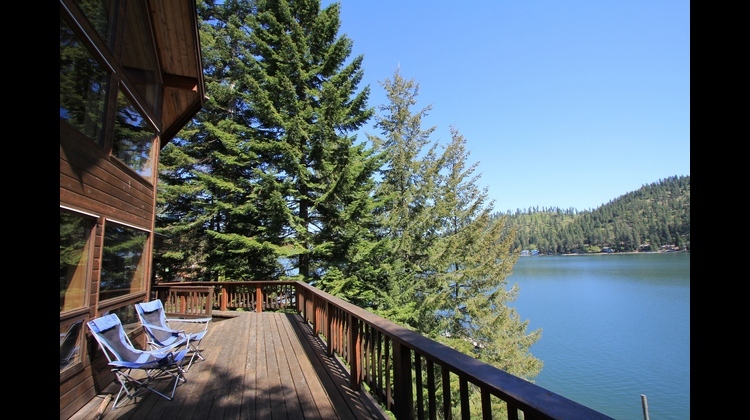 The main floor and the lower floors both have huge scenic wrap around decks overlooking the lake. 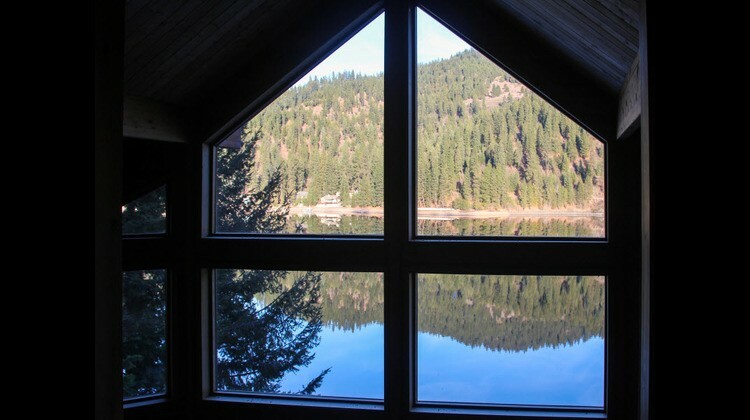 This location is a serene, private getaway, while only being a 40 minute drive to downtown Coeur d' Alene. Harrison town, 10 minutes away, has the basic amenities you might find in any small town, including a grocery store, restaurant, boutiques and an historic bar (One Shot Charlie's) as well as bicycle, jetski and boat rentals. 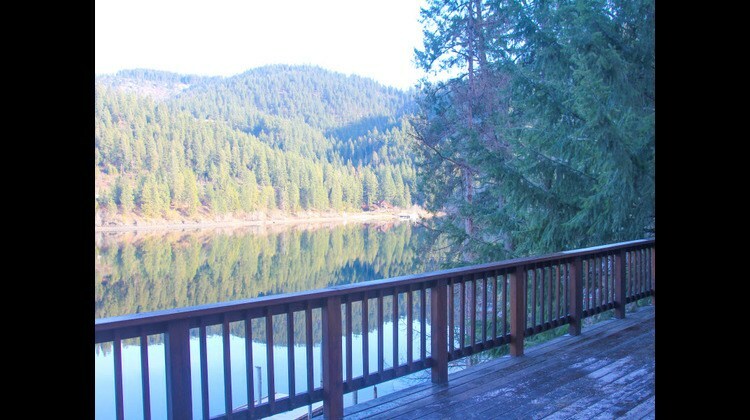 You can swim, bike or hike right out the front door or you can enjoy 100' of private waterfront access. 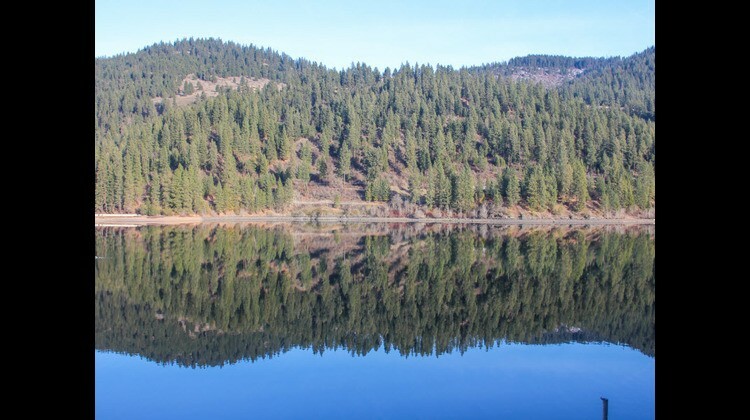 The Trails of the Coeur d'Alene is a scenic 70+ miles of paved trail for biking, walking, rollerblading and skateboarding. It follows the Coeur d'Alene River all the way to the lake, then follows the lake south to Worley, Idaho, near the Coeur d'Alene Casino. Many of the lake's hotspots are less than 10 minutes away by boat: Harrison Gateway Marina, Conkling Park, Rockford Bay (Shooter's Marina) and Carlin Bay Resort. The beautiful Coeur d'Alene Resort and its floating green are about 30 minutes away by boat. You can also enjoy historic Harrison town and the old silver mining town of Kellogg - and both have great antique stores. 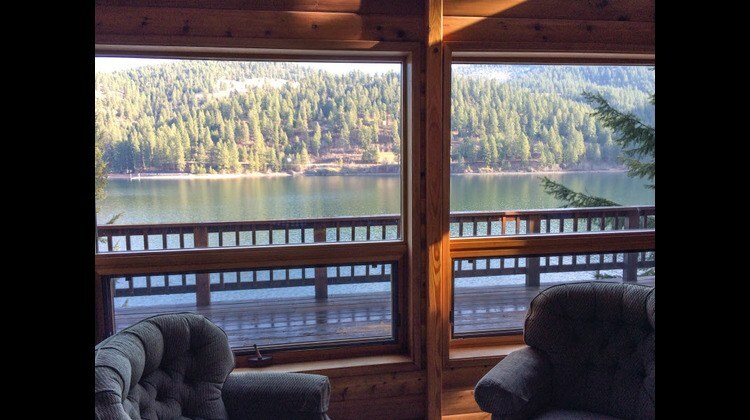 Make our house your home at Kokanee Cabin! We purchased this beautiful home so we can spend more time close to family in Coeur d'Alene and Spokane (we live in Honolulu now.) Sam grew up on Lake Coeur d'Alene and he has many fond childhood memories of swimming and fishing on the lake. Kerry grew up in Hawaii and considers Coeur d'Alene home. When we saw this house, we immediately fell in love with it. 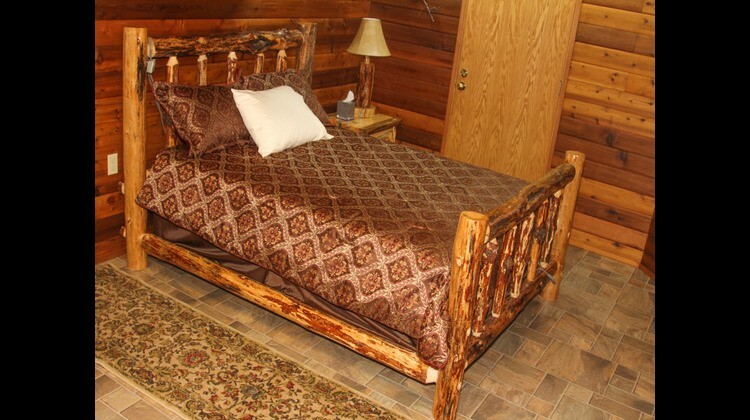 It's surrounded by huge pines which give it a lot of privacy and sets the mood for getting away from it all. The house was custom built in 1991 from thick cedar and the inside walls resemble sauna wood. We love spending time with our families at this house riding quads and hiking. We've fished Powderhorn bay for years and it's known as the best Kokanee salmon fishing on the lake and also known for bass fishing in the back of the bay. People even catch some good sized Chinook salmon out near the mouth of the bay. Coeur d'Alene, Harrison and Kellogg, still have the nicest, kindest and hardest working people. When we meet the folks in these towns, they welcomed us with open arms. The 'aloha' spirit does live in Idaho. Bring the whole family! In fact, bring the family and your friends' families or have a unique family reunion in this extra large house. We hope you love our home as much as we do! 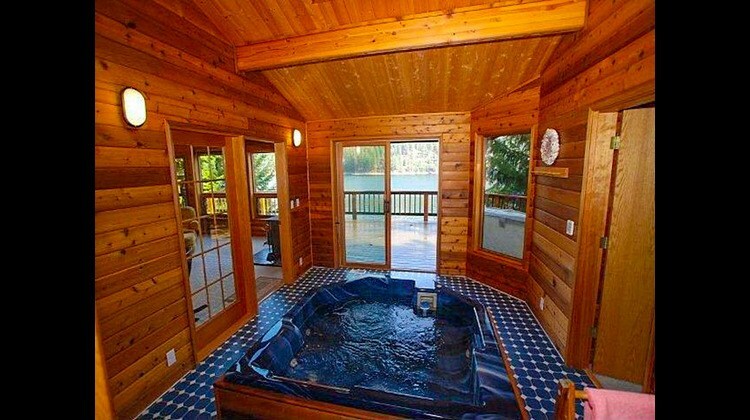 Discounted rates available on VRBO.com and Homeaway.com - please see links above on this page. To allow time for cleaning, check in is after 4pm and checkout is before 11am. 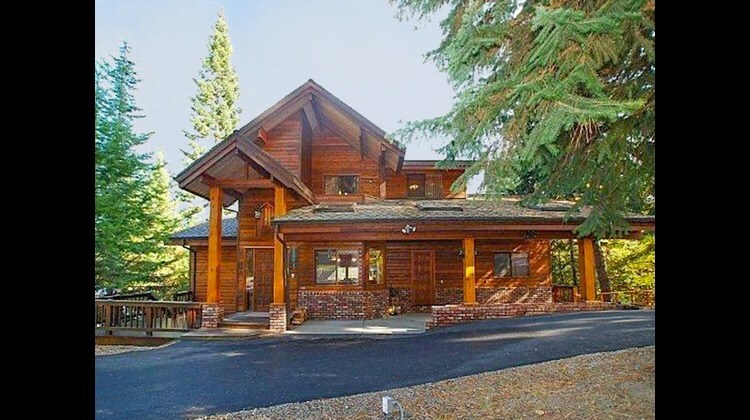 This home is beautiful and loaded with amenities. The kitchen if fully loaded with cooking tools and ready to use. 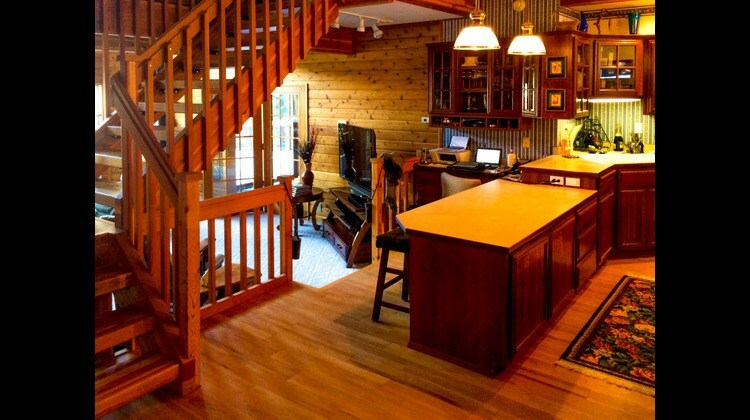 There is a room for everyone and every mood - from quiet escapes in the loft - to games in the basement rec room - to relaxing on one of the many many decks - to gathering with family around the table for a good meal. This home is welcoming. Very clean. Very comfortable. 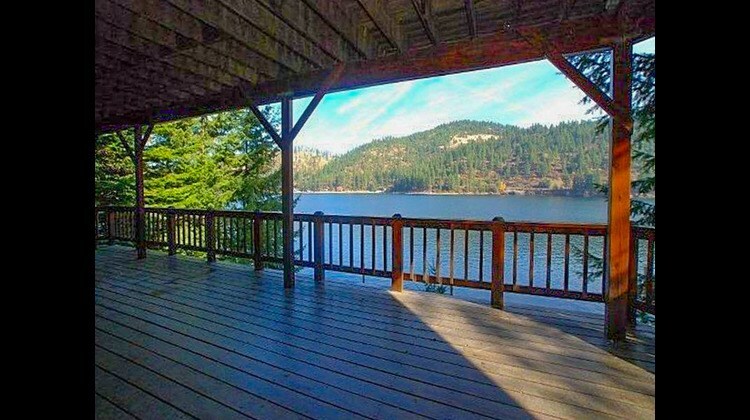 The lake front and dock are a bonus to this house. I would definitely recommend staying at this luxurious home. 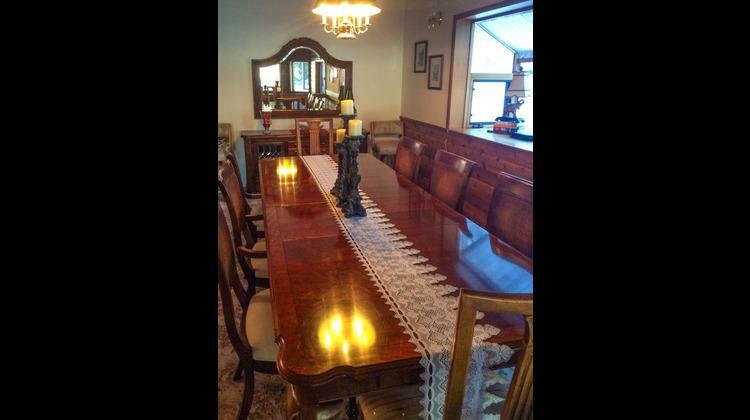 This home is an amazing vacation rental find!! The location in Powderhorn Bay is perfect! 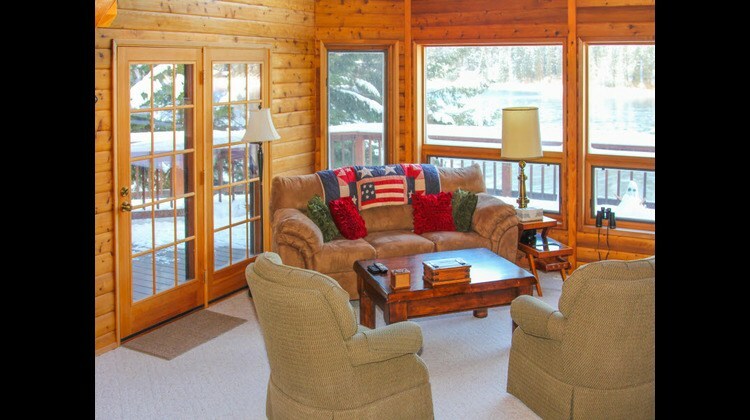 The surrounding mountains and lake access open up access to a variety of activities!! 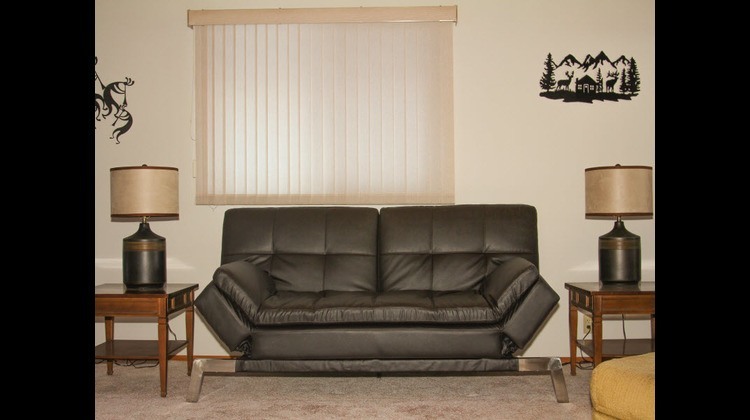 The home is very spacious and decorated with thoughtfulness and great care. 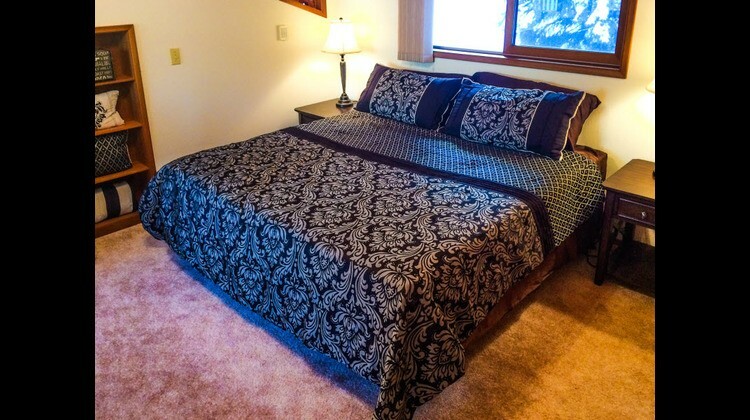 Sam and Kerry made it welcoming and comfortable, perfect for spending quality time with my family and friends! We also had great fun on the huge decks watching the Air Chair "skiers" on the lake! I will be recommending to all my friends and definitely be back to this warm "home away from home". Thank you Sam and Kerry for adding the special touch to my vacation! PS The hot tub was a definite plus for after the ATV-ing and hiking and the fire-pit on the beach was the perfect setting......just add s'mores and starlight!! Enjoyed our stay at your beautiful home! It was warm and very relaxing. We had a large group of family and friends and couldn't have felt more at home. I enjoyed cooking with group in the large open kitchen and eating at the large table. The views are spectacular! Lots of wildlife! Can't wait to stay in the summer and enjoy the warm summer air, the water and the life at the lake. Thank you Sam and Kerry for opening up your beautiful home to us! Mahola! We were right at home in this luxury get a way. Beautiful home to share with family. There is a room for everyone here! A loft for quiet escapes, a rec room for movies or games, a kid's nook for legos or crafts, many decks for relaxing conversations, a large kitchen and dining area to gather with the family. My favorite part was the kitchen that has all of the cooking tools ready to go so we could cook and hang out with our family. I can't wait to stay again in the summer and to play on the dock!